With lots of hard work and dedication, Tobacco Free Kaua’i is ecstatic to announce that the pavilion at Lydgate Park and Kamalani Playground are now completely tobacco-free! 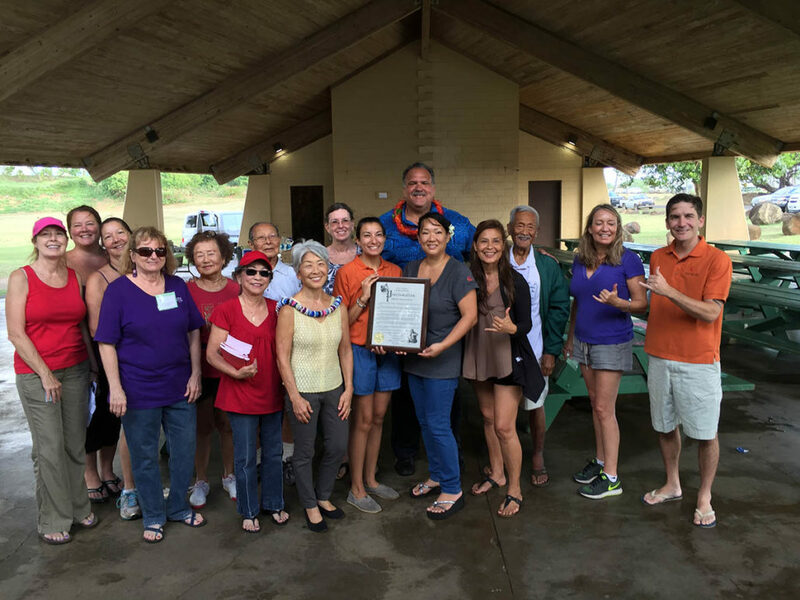 Former TFK coordinator, Valerie Saiki, worked tirelessly on this project with the help of our partner organizations, including Friends of Kamalani Playground, Department of Land and Natural Resources, and the Mayor’s office. On October 22, 2016, we celebrated this proclamation with refreshments and friends. We know that there is no safe amount of secondhand smoke and according to the Surgeon General’s report, creating smoke-free environments is the most effective method for reducing exposure. Lydgate Park being tobacco-free protects the health of our keiki and families that utilize this space. Signs have been placed around the park as well stickers placed on trash cans. With the new signage and continued education, we hope to see a cleaner and healthier Lydgate Park and Kamalani Playground.